A post on the pentagon’s official science blog this week details the health risks involved, citing a report that found soldiers in the field were more likely to fall asleep on duty if they consumed multiple beverages a day. The study by the Walter Reed Army Institute of Research, titled “Energy drink consumption and its association with sleep problems among US service members on a combat deployment,” looked at data from over 1,000 soldiers and Marines conducting operations in Afghanistan in 2010. The research found that nearly 45 percent of deployed military personnel consumed at least one energy drink daily, while nearly 14 percent reported drinking three or more per day. The military has long had an interest In keeping troops on the battlefield awake, and from Instant coffee to caffeine-infused chewing gum in military rations, access to stimulants has been a feature of being deployed overseas. 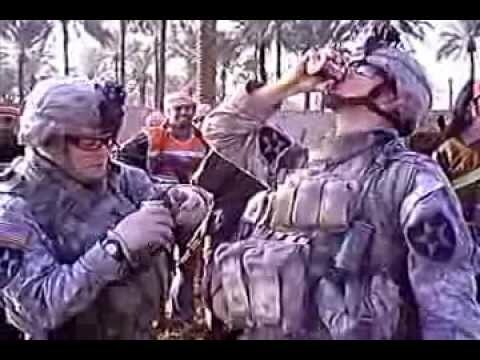 Soldiers serving in recent war zones across the globe have grown particularly keen on energy drinks with many forward operating bases in Iraq and Afghanistan maintaining large stocks of the beverages. One of the more commonly seen brands, Rip It, is actively involved in supporting military groups like the USO and highlights its military connection in its online marketing. On the company’s website it says their drink “has been tested on the battlefield and is a favorite of our troops.” The company did not reply to a message left by CNN. “I don’t think anybody has an answer on the long term effects question,” she added.